When practicing harmonica it is very easy to get too comfortable. When this happens we tend to practice the same things over and over and not challenge yourselves. I find that this is especially true when it comes to tempo. We all seem to have a tempor range which is where we feel most comfortable. For me it is usually between 85 bpm and 110 bpm. If I just start playing something, this is the range I end up in. when we end up in this middle ground we seem to fool oursleves that everything is going according to plan. We stop listening to what we are doing and everything sounds right. What is really happening is that we fall back into assuming things are good because we are relaxed. For practice, being relaxed is not always good. We want to practice until we can do something in a relaxed fashion but to get there we need to be challenged. Not everyone knows this but to become really fast, practicing a really low tempo is the key. The reasone for this is that the very low tempo will reveal all errors and you can adress them with full attention. Then when you speed things up it is much easier to keep the precision you are aiming for. 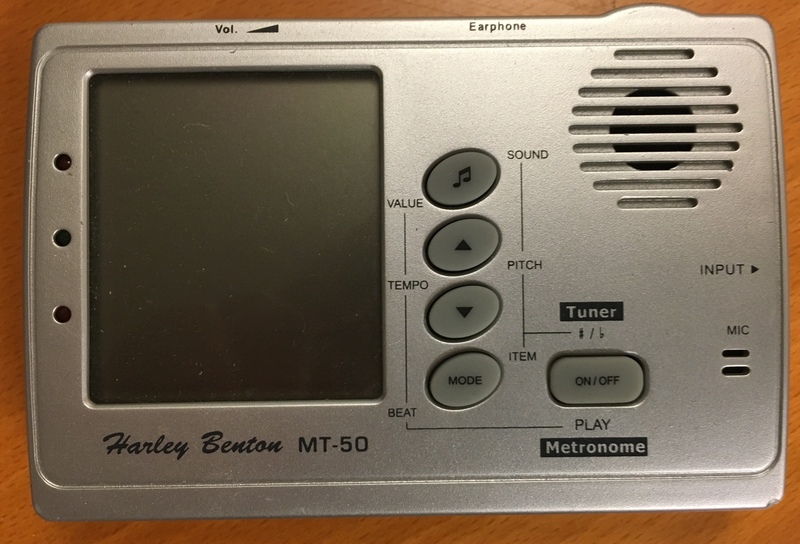 This in itself is a very nice reason to practice with the metronome set at a low tempo. It gets even better because when you practice like this you really have to mind the tempo. At sort of medium to higher tempos you can rush the beat without it becoming apparent. Doing so will retract from the groove but it can be hard to pin point. You just won’t sound as good as you might. When the metronome (part of my essential gear list) is set at 42 bpm there will be lots of space between the swing eigths. You will become painfully aware that you are rushing. Even though low tempo practice is important to playing fast with precision high tempo practice is still important. The thing I find it helps me the most with is changing my mind’s perspective of what fast is. If I am studying a song that I want to play at 120 bpm, I will start out at very low tempo to get the precision as mentioned above. Then I increase the tempo to get closer to the target. However I often find that I get stuck at somewhere around 110 bpm if the target is 120 bpm. What I do then is set the metronome or jam track to well above the target tempo. Practicing this fast will make me miss a lot of the riffs and kind of stress me out. The magic happens when I then reset the tempo to 120 bpm. Now the target tempo will feel much slower than before and I can get pass the plateue. If you make it part of your practice routine to both practice at very low tempos and use high tempos when appropriate you will super charge your practice sessions. Never let a good idea pass you bye when you are practicing harmonica. Let me know how this works out for you. If you have any other tempo hacks, I am very interested in hearing about them. I just recently published my “Learn to play awesome 12 bar blues harmonica solos” on Skillshare, sign up through this link to get a great deal on the Skillshare membership fee. Harmonica Gear or More Practice? If you are anything like me I guess you are a harmonica gear head, most harmonica players are. Part of the fun of any hobby is to have a reason to buy new gear. No harm in that at all. There is however harm when buying harmonica gear becomes the main reason for the hobby. It is also a problem when we start blaming our faults as harmonica players on our gear. In this article I give my thoughts on what is essential gear and what improvements come best from practice (with or without harmonica). Not all our shortcommings can be fixed with gear, very few actually I would say. I will not mention custom and semi-custom harmonicas here, they deserve their own discussion. First, a look at what I consider essential harmonica gear. These are things that help you become a better harmonica player and help you practice. Maybe some people will see this list as very boring and maybe it is. However essentials are rarely very exciting. 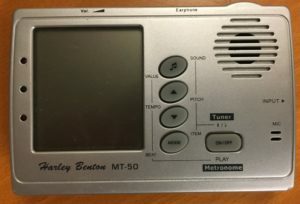 The metronome is what keeps us honest when we practice, it is very hard to ignore being off the beat when the metronome is running. It is also a very good tool for practicing in the extremes, either really slowly or faster than we normally can handle. You can either use a stand alone device or a smart phone app. Critical listening while we play is extremely hard. Chances are that you are not hearing your mistakes, unless they are big, while you play. The ability to record and review afterwards is essential to pinpointing what you need to work on. 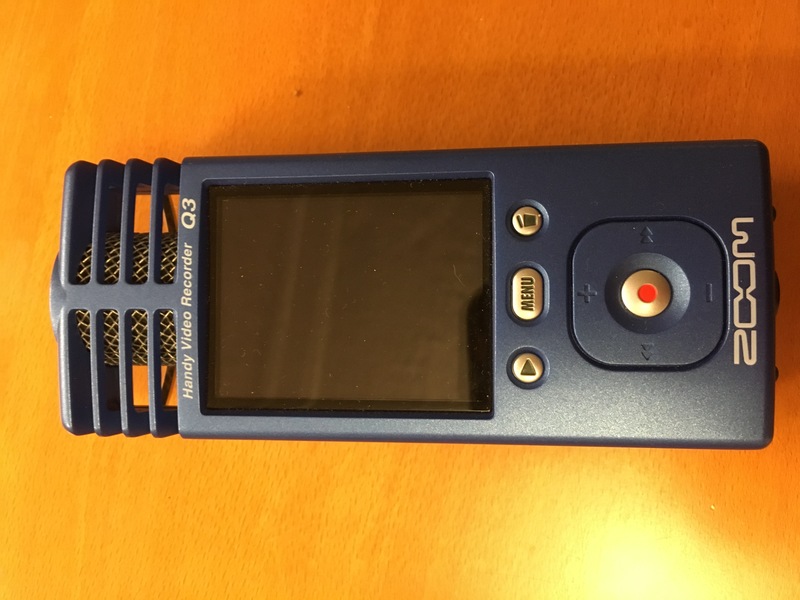 I have been using Zoom Q3, which also records video, since a couple of years ago. 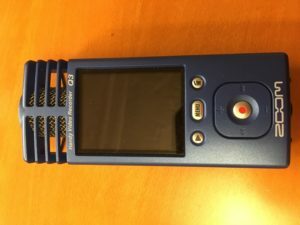 I don’t think it is available anymore but I have heard god things about the Tascam DR-40 and Zoom H1 looks like a good option. If you have a smart phone it can likely work just as well. Maybe not so much gear but jam tracks in different grooves, tempos, intstrumentations, etc is a great way to prepare for playing with other musicians. There are actually two ways to go about getting jam tracks. 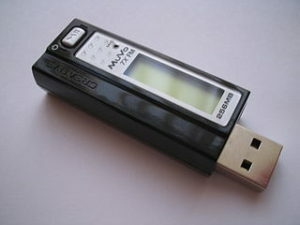 You can either buy individual or collections of jam tracks or you can invest in a computer program like “Band in a box” that can generate whatever kind of music you need. It can even create solos in the styles of famous artists. Quite an interesting tool, also useful for songwriters and home studio geeks. Learning the tounge block embouchure can be quite challenging due to the fact that we cannot see what goes on inside our mouths. The tounge block trainer created by Joe Filisko allows us to see what we are doing with our tounge and that really makes things a lot easier. You find the TBT here, where there also are instructions for how you make one yourself. A small set of tools with screwdrivers and tools for simple harmonica maintenance is quite handy. It is a good thing to know how to maintain your harmonicas yourself. Hohner has a nice set of tools with maybe more tools than you need at first. I have written about harmonica maintenance for cleaning in an earlier post. Unfortunately this is probably the category most people are most interest in. A lot of the gear I got first definately comes from this category so, do what I say not what I do. Unless you play regularly on stage you probable don’t need an amplifier. However if you do you a small 5W tube amplifier is probably what you need. It will be loud enough for rehersals and it can be amplified through the PA for larger venues. The amp will both be a way of being heard and a way of shaping your amplified sound. Before buying one you need to figure out what you need and what kind of sound you want. 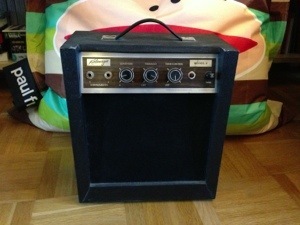 There is a big market for vintage amplifiers on eBay which can cost quite a lot. There are also a bunch of modern brands that specialise in harmonica amplifiers. Sonny Jr and Lone Wolf are two well known companies. I have a Gibson Kalamazoo Amp from the 60’s which I am very happy with but it did need some attention before being playable. One thing that you should consider before spending a lot of money on an amp is that it will make everything you play louder. If what you put into the amp sounds band, what comes out will also sound bad, only louder. If you buy an amp you will also need a microphone and the bullet style is the prefered style for many players. The same goes for mics as for amps, either you buy a vintage mic or a modern version from somebody who builds new mics often from vintage parts. BlowsMeAway Productions has both modern versions and custom wooden mics with vintage cartridges. I have the Bulletinin which I am very happy with. Effect pedals is a category I am not very interested in myslef actually. I have never come to grips with them. I would suggest that you hold off buying pedals until you know what you want from them. They can be great additions if you are looking for a specific sound that you are unable to create otherwise. I would also consider pedals icing on the cake and not something that will help your overall playing, if you don’t sound good acoustically pedals are not likely going to help you. Lone Wolf has a bunch of different pedals you can check out. To me delay and reverb pedals seem like a good place to start looking if you are experimenting with your sound. If you look back at the gear I list as essential you may notice that with the exception of the tool kit everything are practicing tools. The reason I think that practice is so much more valuable is that you will always take it with you. Sometimes you will not have access to your gear and sometimes you may want to play 100% acoustically. Even at those times when you have access to all your harmonica gear and all the best equipment in the world, what you have practiced will still shine through. There is no tool in a live situation that will fix bad timing or bad tone. They are such corner stones in every great players arsenal that they deserve to be put first at al times. If you ever have to choose between new gear and more practice, I urge you to go for more practice. Hold off with the harmonica gear until you really need it. You will be glad you did. I am curious to hear any thoughts on this. If you liked this article please share it and don’t forget to signu-up to my newsletter to receive a 75% discount on my Udemy course and my “Positions and Blues Scale” PDF. You may already have figuered out that I am a big advocate for practice, especially efficient practice and excercises. The more you practice the better you become, it is as simple as that. In this article I will give some ideas about how to increase your harmonica practice sessions without even touching a harmonica. It is easy to become caught up in believing that only your pure scale practice time will make you better. Good news, although scale practice, bending practice etc is important there are other forms of practice you may have not considered. It doesn’t matter if you consider yourself to be a modern player or if you don’t want to copy the masters. Learning from the great masters like Little Walter, Walter Horton or Sonny Boy Williamson is essential. An excellent way of doing this is to listen to them as much as you can. By constantly filling your ears with good ideas from the past, your future ideas will become better. Don’t fall in the trap of ignoring good riffs from the past in your effort of developing your own style. Your own style develops from you absorbe ideas from others and rework them. Ignoring good input will not help you. So, get those ear plugs in and listen to good harmonica players when you can’t practice yourself. Load up whatever music player you use with great songs to learn from. Lee Sankey is a harmonica player and instructor who has done very interesting research into the mental models musicians use while playing. He calls these models Brainstruments. The idea behind the mental model is that the musician is not playing the physical instrument bur rather his Brainstrument and the brain then translates everything into the physical world. Developing a mental model of the harmonica of course requires quite a bit of harmonica practice but it is worth while trying to figure out what your mental model is. With a mental model in place, you can think your way to becoming a better harmonica player. A very closely related topic to the Brainstruments is the work of Daniel Coyle which he put forward in “The Talent Code”. My short explanation would be that while practicing you develop neural pathways that are insulated with myelin which makes them faster and thereby stronger. When the pathways are in place they can be fired without the muscles moving. This means more support for mental harmonica practice. One additional note on mental practice, if you do not do the physical “normal” practice you will not develop the mental model and the myelin will not form. You cannot just think about playing, you have to do it too. Theory studies may not be the your favorite thing and I know some people see it as a little bit dirty for harmonica players. I don’t understand that view at all. I think you should make an effort to understand as much as possible about what you are interested in. 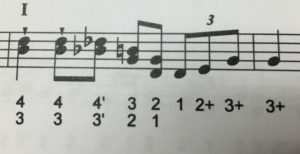 Understanding more about music theory will not only make you a better player, you will also appreciate the music more. It is also a perfect thing to do when you are travelling and not really want to listen to more music. Take out a theory book or do some Google searches to elevate your knowledge. 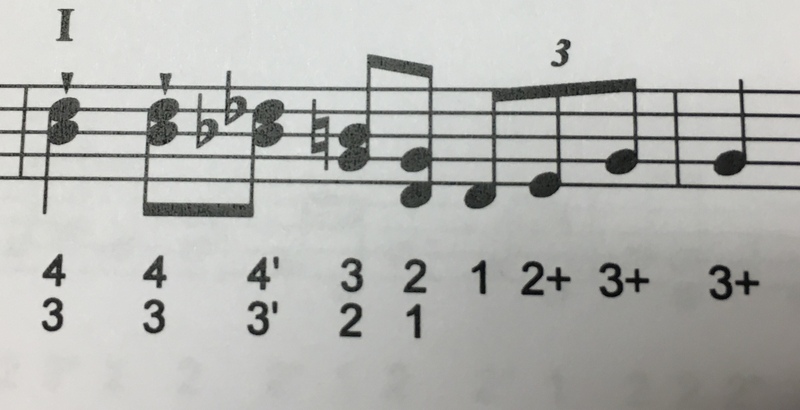 If you are a complete beginner then “Music Theory for Dummies” is a good starting book. I hope I have opened your eyes about what harmonica practice is and how you can apply these ideas to your own practice. Even if you don’t adapt all of these ideas, try at least one. Let me know how it works out. If you have any other ways of practicing without touching a harmonica I would love to hear about them.